Enjoy the amazing scenery of unusual rock formations, man-made dwellings, churches, and chapels from the early Christian and Byzantine periods. 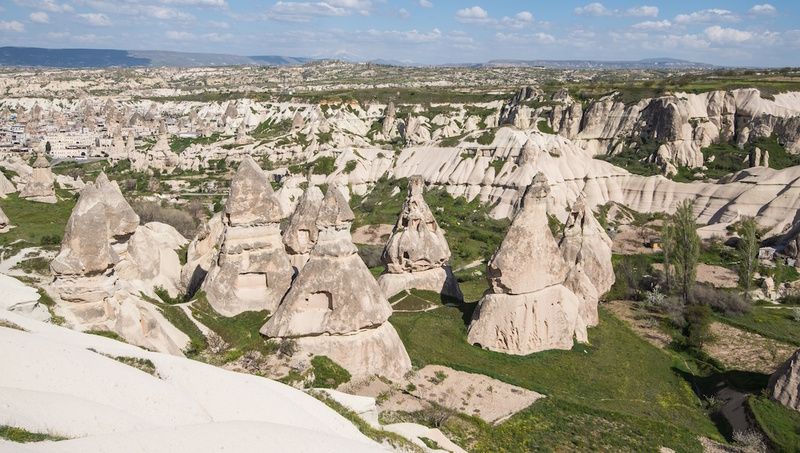 A place like no other, Cappadocia will captivate you with it's incredibly bizarre, yet beautiful landscape. 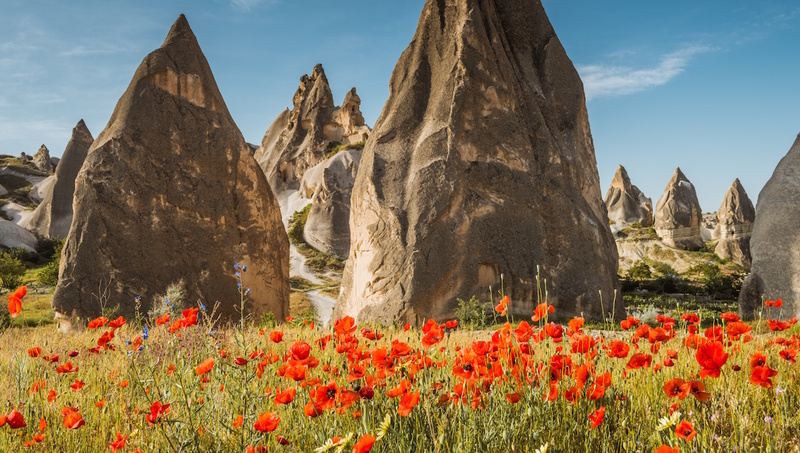 This semi-arid region in central Turkey offers fascinating history, museums, palaces, beaches, and white cliff waterfalls -- the best of everything you'd want on a holiday! 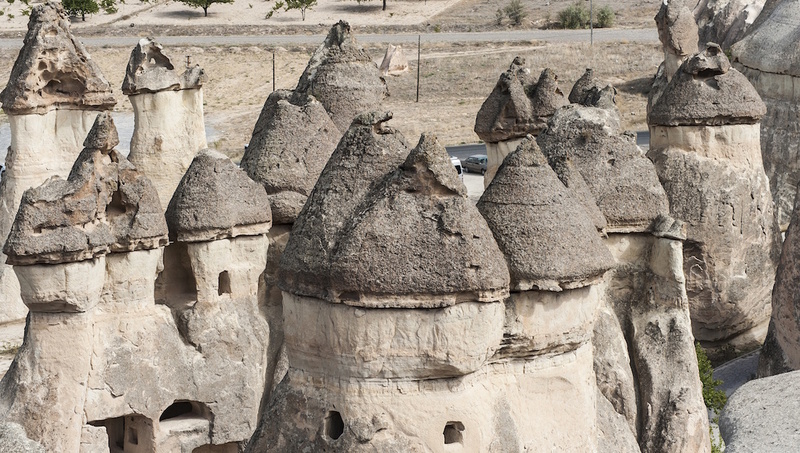 This is a must-see wonderland with rock-cut churches and vibrant frescoes. A former Byzantine monastic settlement that housed some 20 monks, it's a UNESCO World Heritage Site. Houses were built around nearly 100 tunnels of this underground city. 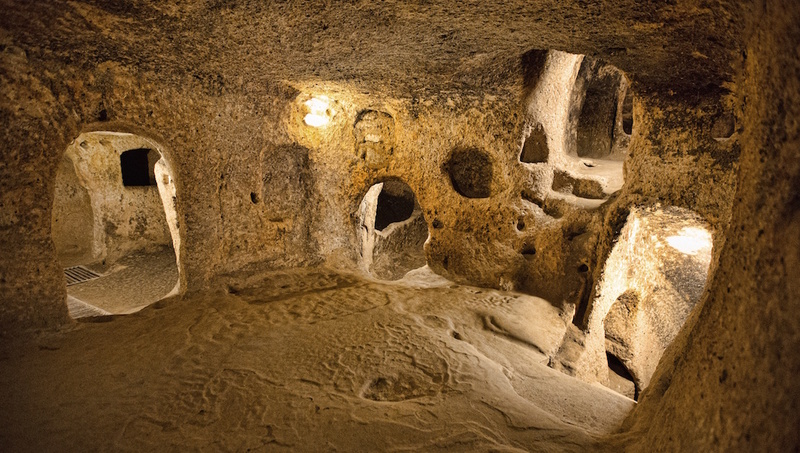 This gerbil-like metropolis of tunnels was excavated as early as Hittite times -- and four floors remain open for exploring. Otherwise known as 'Imagination Valley', this is astoundingly absurd and mesmerizing valley contains a variety of rock formations shaped like animals, all naturally created by nature. Enter the rock formed zoo! 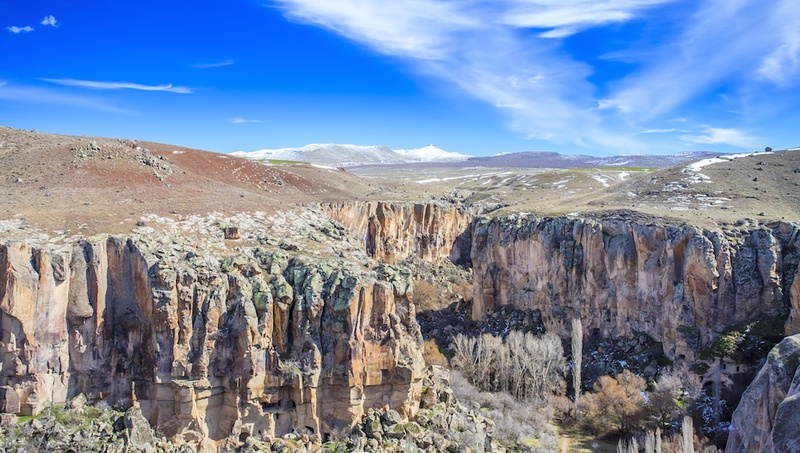 This canyon was formed thousands of years ago, and flows the 7-mile distance from Ihlara village to Selime village. Walk along the gushing water past the vineyards, poplars, and pistachio trees. Now we enter monks valley on the road to Zelve, and the dream continues with pillars made of earth standing tall in the middle of the vineyard, which stylites and hermits once used to hide inside. 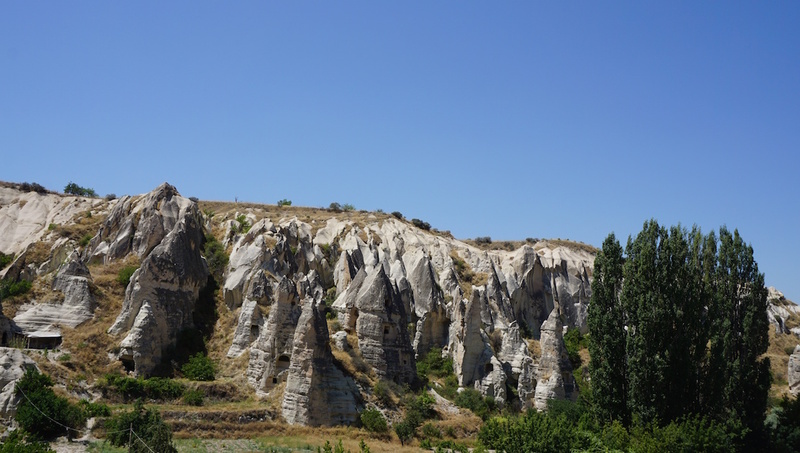 One of Cappadocia's top rated restaurants, this cave eatery in Goreme is worth a visit. All ingredients used are from local farmers, but there's just 10 tables, so don't delay! Also known as the 'The Alps of Turkey', this mountain region is popular for mountaineering, hiking, and trekking among waterfalls, fir trees, birds, wild goats, bears, lynx, and sable. Terrorist attacks have happened in Turkey. Is it safe to go there? Millions of foreigners visit Turkey every year and most visits are trouble-free. Sirnak, Mardin, Sanliurfa, Gaziantep, Kilis, and Hatay provinces are the places advised to avoid. Do I have to be careful about how I dress in a country with many Muslim people? Tourists should respect religious customs, particularly during the month of Ramadan. Dress modestly when visiting mosques or religious shrines. Spring and fall are the best times to visit, when the weather is cooler and the top sites are less crowded. Summertime is more active with tourists and you might find higher prices during this time.